Can't get Windows 7 updates from Microsoft, but not sure why..
Hi All, i am hoping somebody can help. i have a laptop running Windows 7 32 bit and a PC running Windows 7 64 bit and i can't get either to update from the Windows Update feature, both just stay on the checking for updates page and never do anything else. I have tried the laptop on wireless and wired and the PC is connected to my Zyxel VMG8924-B10A via ethernet cable. i have run every version of standalone update and windows update repairs and have also done a reinstall on my laptop and it still just hangs on the checking page. i did update my router firmware recently and have now changed it back to version 7 and i still cant connect. i have had various errors such as 0x80070057,, 0x80070003, 0x80244019 and others reported back from the windows update repair program but still i cannot get updates so i was wondering if it could be router settings as it is on both my laptop and pc. i have run AVG virus check and i also a few windows repair programmes. 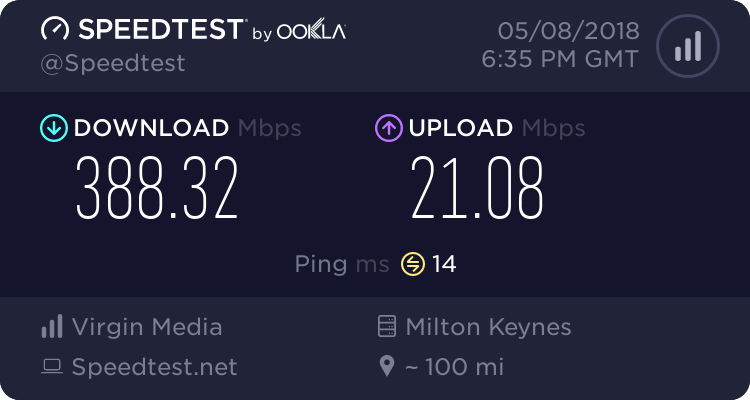 i am on plusnet unlimited vdsl. i have changed my DNS settings to the ones from the plusnet site and still no go. Re: Can't get Windows 7 updates from Microsoft, but not sure why.. The first update can take an hour or to finish it's checking for updates stage. Apart fom that I recall running a Microsoft fix it once. No one "solution" seems to have been found. Yep...leave it run for 24hours...it also takes that long on my windows update server running on my lan. I've had a similar problem with a laptop at work, it originally showed about 47 updates, but would never download them, I've now got it to the point where it never gets to finish checking for updates, in fact the laptop goes to sleep. Perhaps I should stop it sleeping and leave it going over night. Failing the above I'll probably just upgrade to Windows 10, except I'll have to do it manually as the upgrade app seems to just close. PS. It's not network related with mine as my desktop PC updated yesterday. Windows update in the past 24 months or so definitely seems more finicky although my negative experiences have only ever been on windows 10 and 8.1 (especially 10). In my case having a broken MTU broke updates on windows 8.1 (for a while last year on plusnet ipv6 trial I had broken ipv6 mtu and microsoft uses ipv6). Network issues - bad dns response, mtu problems, packet loss etc. Corrupt windows update files. The disk cleanup tool can wipe the files for a fresh start. AV interfereing although I think this is probably not it. Here is some info regarding AV configuration and locations of possible corrupted files. My wife's old laptop has just started to do the same thing, I think it's just another ploy to get users to upgrade to W10!! For many years I have prevented Microsoft from updating any of my PCs after experiencing an update catastrophe. I'm sure in a workplace environment it would be necessary to protect sensitive data but for a domestic PC adequately antivirused and with a bit of care browsing I would rather avoid the hassle. If it gets to a stage where I believe MS operating systems are not safe enough not updated I'll switch to Linux. Well I stopped my laptop from going to sleep and left it checking for update first thing this morning, just checked and it's found a load of updates and its currently installing them. @tonyappuk, no OS is safe un-patched once a security vulnerability is announced, you may by pure luck get away with it, but I'd rather not take chance. If your that worried image the drive before updating every so often. I think it's just another ploy to get users to upgrade to W10!! Trouble is, it's rather difficult upgrading to W10 if W7 won't update (I suffered this on a couple on new installs of W7). As others have mentioned though, swithc off any/all sleep/hibernation functions, reboot and leave to run helps for most. Download http://windows.microsoft.com/en-gb/windows7/what-is-the-system-update-readiness-tool if a new install of windows 7 won't update. P.S. I've had the fortunate or unfortunate task of using this tool on both my computers, and particularly on my new computer it saved me a lot of issues. It's very straight forward to do. Just make sure you have no usb devices plugged in except your usual mouse and keyboard otherwise I've heard it stops the update at a certain percentage. I've never had any issues with the program. Just make sure you pick the Windows version that you currently have. I'm not sure if it gives you a choice these days or not. If it does, if you have Win7 Pro, Win8 Pro, Win8.1 Pro then pick Win10 Pro. If you have the regular home versions of windows then pick the home version of Win10. Good luck! I will add that I've upgraded all my machines now with no real problems. Expect for Windows 7 that is. An upgrade 'worked' in the sense that it loaded Windows 10 but a whole load of applications then refused to run properly - CS6 was one I remember - blue screens, various startup errors, activity cursor then nothing and so on. Can't remember all the ones that failed but the point is that I then ran a revert to previous OS. Looking at the various system folders there were an awful lot of files dated far more recently than they should be - so I guess that the revert ends up with a hybrid OS that includes Windows 10 files? Restoring a proper backup I'd taken before starting got me back to normal again. I tried this twice but no better the second time. Gave up and used a new disk to run a clean install and got everything working eventually. I just realised I didn't post back with my solution but I downloaded the updates from http://www.wsusoffline.net/ onto my hard drive and just followed the instructions to install them from that and it worked a treat for both my laptop and pc and has been fine since. I had tried every patch and remedy I could find and even left them both searching for updates for 4 days i think but the offline update worked a treat. Virgin Media cable, A&A ADSL. OPNsense router.